Are you behind on entering data into QuickBooks? Are you worried that some data has been entered incorrectly? Does it seem like your reports are off but you can't figure out why? Professional Financial Associates, Inc. is located in Farmington Hills and Spitz Accounting and Tax Services, Inc. is located in Brighton. Our Detroit Metro accounting firm delivers complete QuickBooks® accounting support services to local businesses in the Detroit Metro area including Detroit, Livonia, Farmington Hills, Southfield, Redford, Novi, Brighton, Howell, Northville, and throughout Oakland County, Macomb County, Wayne County and Livingston County. We'll help you and your employees learn to use QuickBooks efficiently so you can maintain accurate records that will help you manage the financial condition of your business. If you’re new to QuickBooks, we can start by installing and setting up the software. Next we conduct personalized training sessions at your office to teach you how to use all the important features of QuickBooks. From there we’re only a phone call away when you need assistance to troubleshoot a problem or just have a question. 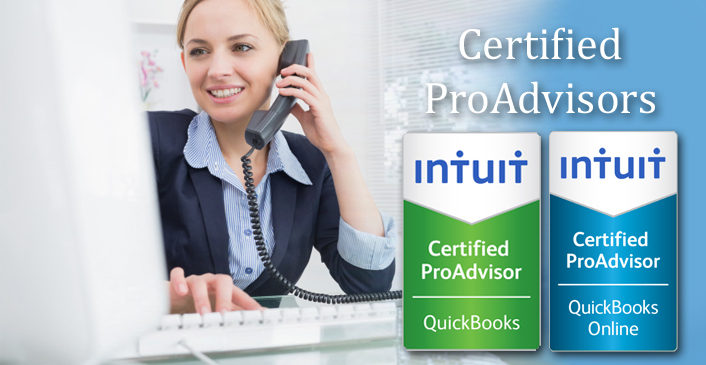 Don’t go it alone, we have highly trained Certified QuickBooks ProAdvisors ready to assist you. Contact Jeff at 248-473-0101 today to get started. Copyright - All rights reserved. Websites for CPAs and accountants by Build Your Firm, providers of marketing for CPA firms and accountants.